The inspiration for Rhodes Home help came from our own family experience. When our late Grandma was suffering, we were surprised by how difficult it was to find quality professionals to help care for her. We made calls, left messages, and did a lot of waiting. It was a long time before we could finally find people we could trust. 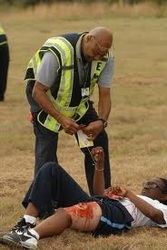 We are forever grateful for the help our caregivers provided during our time of need. Rhodes home help helps families live and perform their best .We help keep parents and grandparents out of nursing homes, and in their own homes by providing a full range of medical and non-medical services. 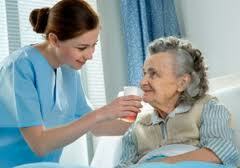 We also strive to provide the best home health care at a reasonable and affordable price. Lastly, at Rhodes Home Health Care we take pride in our work, and we know that you love your family; and all of our clients are family and well taken care of. In other words, your family is our family. 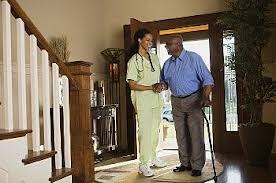 Assisting and facilitating the patient's transition from a hospital or other health care facility into their own home. To assist a patient in returning to (goal level health). To help the family better meet the needs of the patient through counseling, teaching, and coordinating of community services. To work with the hospital and medical staff in the development of home care services which meet the needs of the patient. To maintain patient function appropriate to individual capabilities, lifestyle, and stage of life. To administer quality health care services for patients in the home when family are unable or unavailable to provide those services. To provide patient and family instruction in the fundamentals of health, hygiene and safety as well as the prevention, control and treatment of disease.